I’ve recently started playing Dungeons & Dragons, trying to learn the basics, and making a ton of characters. Making the characters has really helped me understand a lot of aspects of the game, and I find it it quite fun. 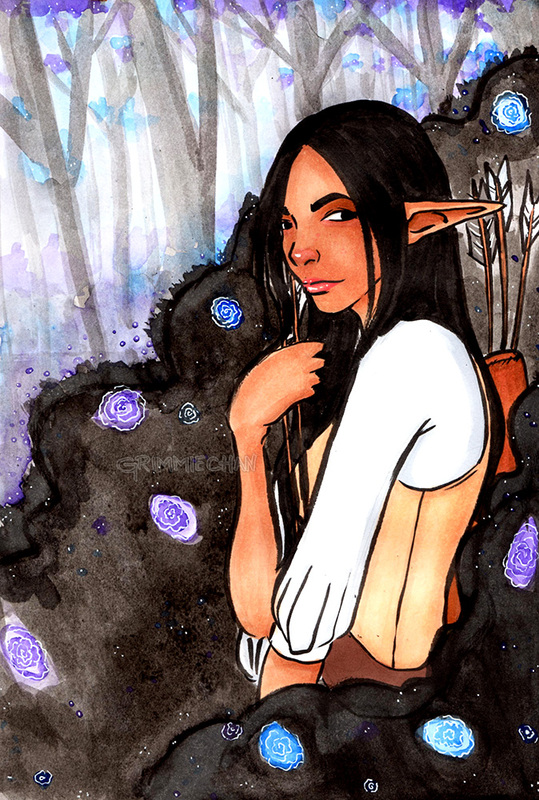 One of the characters I’ve started to play is Y’vee Galandel, a Wood Elf ranger. Ranger seems like a really fun class, so I can’t wait to get her leveled up. I also have a gnome cleric that I’ll probably end up playing more often, so this ranger will be my occasional treat to play.